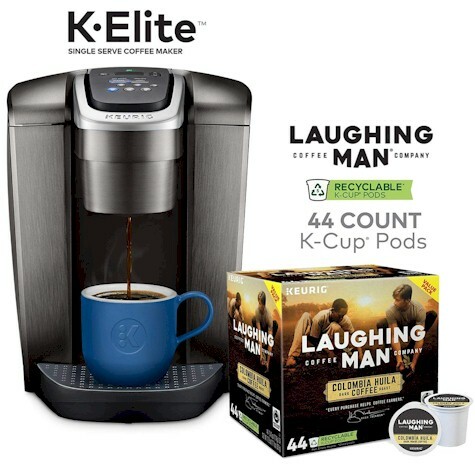 Amazon has got this Keurig K-Elite coffee maker (in brushed slate) and 44-count Laughing Man Colombia Huila dark roast k-cups for $99.99 with free Prime shipping. This is an incredible value, since this Keurig K-Elite coffeemaker alone normally goes for $169.99, and the k-cups usually go for $23.82 on their own, so the value if these bundled items were bought separately is $193.81. This bundle is also available with the Keurig K-Elite coffee maker in brushed silver for the same $99.99 price.